HazeMaster is Le Maitre's most advanced and powerful hazer yet. With a massive output capacity and rugged construction, it has been designed every step of the way for the road. Combined with award winning haze technology, producing pure, fine, consistent and long-lasting haze, it really is a class act. Le Maitre have taken all their experience from HazeMaster’s predecessors, the renowned Stadium Hazer and the MVS Hazer, and designed a completely new machine with a host of new features and benefits. Le Maitre’s acquired knowledge and original investments have enabled them to produce a much more competitively priced unit, despite using higher quality, longer lasting parts. The design is sleek and modern, with a robust steel casing, underneath which lies a true masterpiece of engineering. 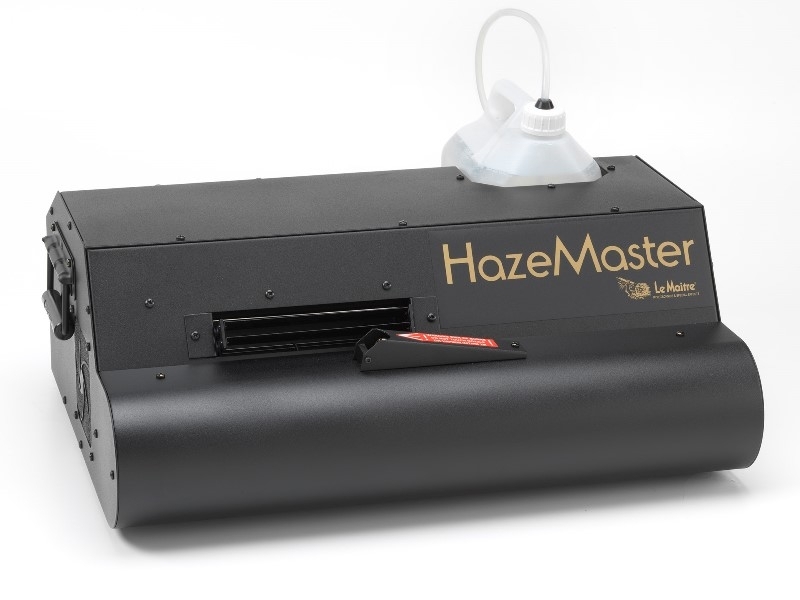 The combination of an industrial grade air-pump, a 2-stage heating process and a microprocessor controller, produce an output so powerful that the HazeMaster can convert up to 750cc of fluid per hour. (Fluid consumption can be set from 10cc/hr = 400hrs/4L to 750cc/hr = 5hrs/4L). Furthermore whilst most other haze fluids are only 5-10% active ingredient, Le Maitre's is almost 90% active ingredient, meaning it puts 10x more haze in the air than other hazers!